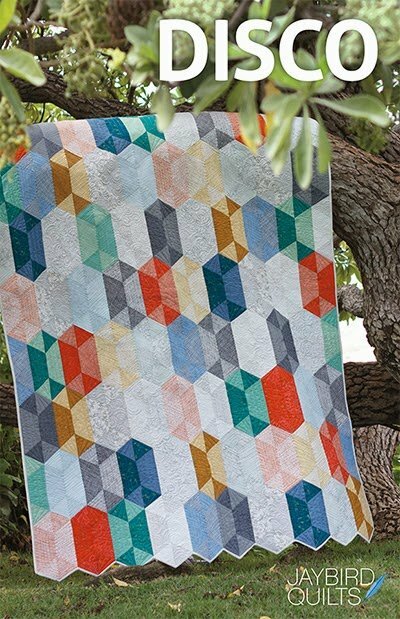 Disco uses the Hex N More ruler & is a great quilt to show off fabrics that have high & low contrast. Cover quilt is made using Carolyn Friedlander's Botanics by Robert Kaufman Fabrics. Directions are given for 5 quilt sizes - baby, youth, lap, twin, & queen. Disco is made using fat eighths, or you can use FQ & use half as many. Kit available in Botanics fabric.